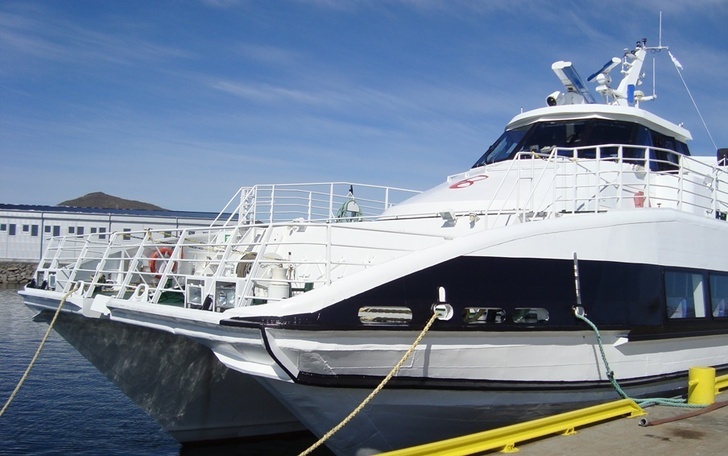 Boreal has high-speed passenger catamarans for hire across Northern Norway. We can tailor your trip to your specifications, including for days out, sightseeing or trips for large groups. Our vessels are available all year round and can carry between 85 and 250 passengers. In 2015 we are organising cruises to the Trollfjord from Leknes and whale safaris from Sortland. We will continue to offer these voyages in 2016. This service is primarily aimed at the cruise industry, but other groups may also book trips when there is availability. We are happy to change the departure port.